Ben Affleck and Lindsay Shookus were recently spotted together in New York City, days after E! News learned the two had reconciled following their breakup. The Oscar-winning star and the SNL producer dated for a year before they split last August. Earlier this week, a source told E! News that the two "are back together and happy to be back in each other's lives." On Friday, Affleck, 46, and Shookus, 38, were photographed walking together in Manhattan, where she lives. The actor wore a navy jacket and blue jeans, paired with a New England Patriots winter cap, while Shookus sported a black mid-length wool jacket and black pants and a gray woolen hat. The two were also photographed together on February 23, in a Bentley during a Starbucks run in Los Angeles, where he lives. Later that day, he accompanied ex-wife Jennifer Garner and two of their three kids to formal event. 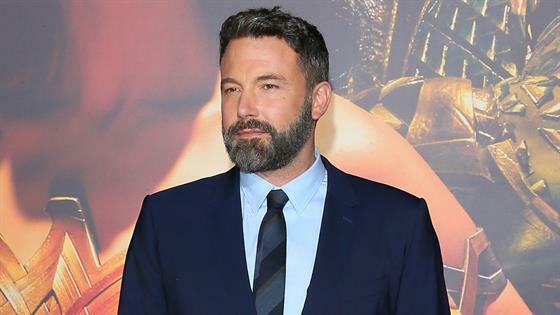 Affleck and Shookus had reportedly gotten back in touch several months after their split, which came weeks before the actor began treatment for alcohol addiction, marking his third rehab stint. He completed it in October.